The growth of the land based casino industry is notoriously slow in Namibia, with many players instead choosing to gamble online where the offerings are plentiful and access is more convenient. But is online gambling legal in Namibia? We look at Namibia’s online gambling laws and explain where Namibian players can safely gamble online for the chance to win real money at the best online casinos. Namibia is a country in the south-west of Africa, with a population of around 2.4 million people. After a long struggle against rule by South Africa, Namibia gained independence in 1990 and continues to operate under a multi-party parliamentary democracy. The economy relies mostly on agriculture, tourism (especially eco-tourism), and the mining industry, which mines for diamonds, gold, uranium and other base metals. Namibia is one of the least densely populated countries in the world due to the arid Namib Desert which stretches 2,000 kilometres and is almost completely uninhabited by humans. The most visited places include the capital city of Windhoek, Caprivi Strip, Fish River Canyon, Sossusvlei, the Skeleton Coast Park, Sesriem and Etosha Pan. Gambling is a legal and regulated industry in Namibia, with the most popular forms of gambling being casino games and lotteries. As Namibia is a relatively young country, its gambling laws were only established in 1994 with the introduction of the Casino and Gambling House Act (Act 32). Act 32 is responsible for regulating casinos and gambling houses that offer multiple types of gambling services under the one roof (for example, land based casinos that offer slot machines and table games), but the government soon became concerned about the number of smaller gambling operations that were popping up around the country. In 1996, the Casino and Gambling House Act (Act 28) was passed to regulate the industry further, with the government imposing a 10-year freeze on the issuing of all new casino licenses. Despite the freeze on casino licenses ending in 2006, no new land based casinos have been licensed to operate in Namibia since, but there are still hundreds of small gambling houses and three major land based casinos where Namibians are free to legally gamble. Is online gambling legal in Namibia? Namibia has not established any legislation to govern online gambling, and therefore Namibian players can access online casinos with basically no restrictions. There are no online casinos licensed to operate in Namibia, but with no bans in place to deter offshore operators there are plenty of internationally based online casinos that cater to the Namibian market. Given the slow growth of the land based casino industry in Namibia, many players are preferring to head online to play at virtual casinos where the selection of games is much larger. Internet penetration rates are incredibly low in Namibia, with a 2016 report showing just 15.6% of the Namibian population had access to the Internet, so regulating the online gambling industry is not a pressing issue. Laws may change in the future, but for now Namibian players can access online casino sites to place real money bets with little to no restrictions and no punishments. 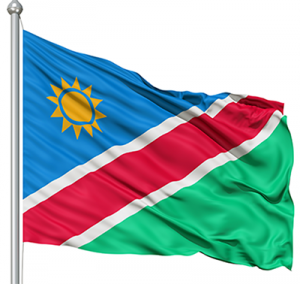 Given Namibia’s relaxed online gambling laws, many of the leading offshore casinos happily welcome Namibian players. However, as the Namibian online gambling market is not regulated, it is important for players to stick with offshore casinos that are fully regulated by a reputable international gambling jurisdiction, like the United Kingdom, Malta, Gibraltar, Alderney, Curacao, Isle of Man of Kahnawake. These casinos must run in accordance with the local laws of the country they are licensed in, following strict regulations to ensure all gambling operations are above board and free from criminal activity, with measures in place to ensure player safety. The best offshore casinos are those that have approval from a third-party auditing body like eCOGRA, and offer games from top-rated software developers like Microgaming, NetEnt, BetSoft, Quickspin, Play’n Go, Evolution Gaming, Playtech and Ezugi. For a full list of the best online casinos catering to Namibian players, refer to our casino table above. This table has been geo-targeted to recognise that you are playing from Namibia and only recommend safe, licensed offshore casino sites that accept players from your country. You can use this table to read our detailed reviews to find out more about what each casino has to offer, or sign up using our links to get access to some exclusive new player welcome bonuses. You may be lucky enough to find an offshore casino site that accepts payments using the Namibian dollar (NAD), although this is quite unlikely as most offshore casinos only accept payments in major currencies like USD, EUR, GBP, AUD or CAD. If NAD deposits are not accepted, you can still play at the casino for real money, it just means your deposits and withdrawals will be subject to currency conversion fees as your money is exchanged into a widely-accepted currency. The deposit options available vary between each casino, with the most commonly accepted payment methods including Visa, MasterCard, Neteller, Skrill, Paysafecard, ecoPayz, EntroPay and direct bank transfers. For a full list of the payment options available to Namibian players, you will need to check the banking FAQ section of your chosen casino, or sign up for an account and head to the casino cashier to see what options are on offer. If you need further information about your available deposit options, you can always speak to a customer service rep at the casino using the live chat or email contact function. Refer to our casino table above for a full list of the top-rated real money casino sites for Namibian players, all of which are protected by a minimum of 128-Bit SSL digital encryption security. For an extra layer of security when gambling online, consider using the services of a trusted VPN (virtual private network) provider.